Neely Trucking and Excavating is uniquely qualified to handle all of your excavation needs. 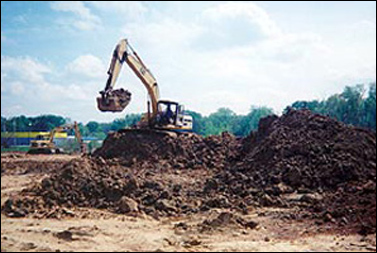 Our excavation team is comprised of well-trained and educated professionals who provide you important information and the right expertise to guide you through your excavating projects as safely as possible and in the most cost-efficient manner. Our field operations are supervised by crew Members who are knowledgeable in all aspects of your individual excavating project. They can operate equipment as well as supervise and direct other crew members on project details. With this excellent supervision and manpower we are able to perform and complete any portion of an excavation project in a timely and efficient manner, achieving the maximum production results with competitive pricing.